Downshire Brass is seeking to recruit a cornet and trombone player to join the band. Our championship section band offers a good mix of contest, concert, and recording work and welcomes players who are estabished or up-and-coming. We enjoy excellent attendance at rehearsals and have a steady schedule of events lined up over the next year. The band is currently the NIBA Champions and over the next twelve months we will be gearing up towards our participation in the 2020 Euros in Palanga, Lithuania. The band rehearses on Mondays and Thursdays from 8.00pm - 10.00pm in Malone Presbyterian Church Halls, Lisburn Road, Belfast. If you are interested in joining this ambitious group or would like more information, then please contact Michael Alcorn (Musical Director) or Robert Mercer (Chairperson) via vacancies@downshirebrass.com or Robert on 07597 684148. 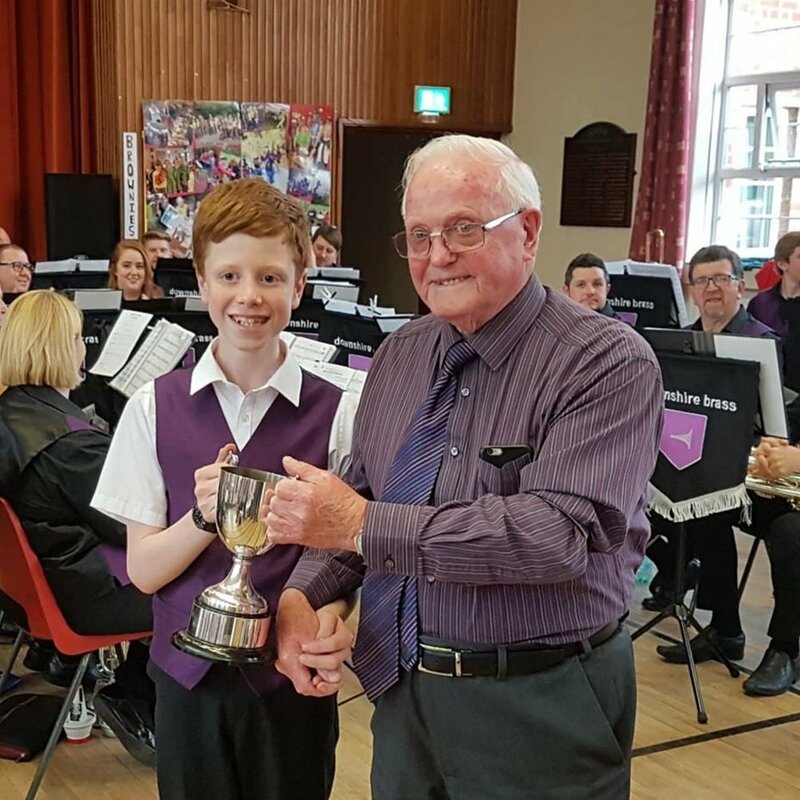 The Brass Band League Solos and Ensembles contest brought a number of successes for our young players in Downshire Youth Band. 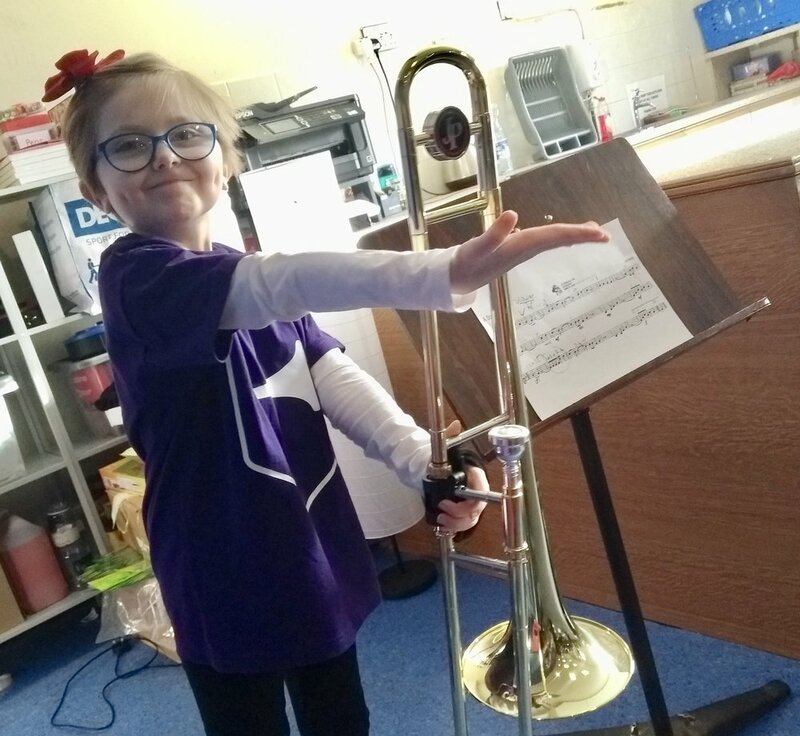 Seventeen players from the band took part in the competition on 16th February 2019 in the 10 & Under, 12 & Under and 15 & Under classes and each one of them played extremely well in their chosen pieces. 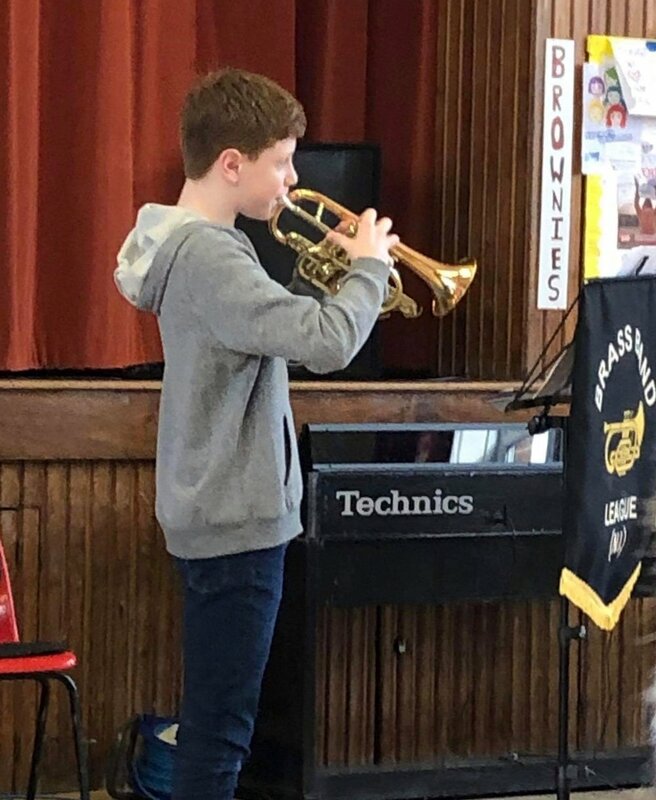 Stand-out performances by James Campbell (cornet) secured a second prize in the 10 & under section, and 1st and 2nd prizes in the 12 & under section went to Harrison Kirk (cornet) and Daniel Quinn (trombone). Well done to all of the other participants and prizewinners! Congratulations to some younger members of the senior band - Tom Alcorn and Ellen Mullan for their super results in recent performance diplomas and to Peter Alcorn for his grade 8 distinction on trombone. Congratulations to some younger members of the senior band - Tom Alcorn and Ellen Mullan for their super results in recent performance diplomas and to Peter Alcorn his grade 8 distinction on trombone. Junior Band member, Aaron Kirk getting his first taste of the Kingspan Stadium in support of the Ulster Rugby Team. Aaron was allowed to help out with the band at the match tonight and clearly brought good luck to the team with a resounding 42-19 victory over the Toyota Cheetahs! Just a few days until our concert on the beautiful Fanad pennisula in Donegal. Tickets are still available via Eventbrite for this event on 5th August 2017 which is a fundraiser for Clondevaddock Parish Church. The concert includes works from stage and screen, as well as classical transcriptions, jazz standards, and popular music. The event will take place in Rossnakill Tourism & Activity Centre, Rossnakill, within easy reach of places such as Portsalon, Rathmullan, Carrigart and all areas close to Fanad Head. available from Valerie Gallagher (tel 0749159287/0879588122), on the door or electronically via Eventbrite. Sunday 25th June saw our third annual summer BBQ. Senior, youth and junior band members got together with their families at Ardnavally Scout Centre for some food, fun and friendship on Sunday afternoon. Thankfully the weather held up and the ever popular Slip 'n' Slide made an appearance following a delicious BBQ. Who knew a garden hose, a tarpaulin sheet and a container of washing-up liquid could provide so much fun?! All the kids (and some big kids too!) appeared to enjoy every minute and the parents had difficulty persuading them it was time to go home! A huge thank you to Alan and Gary for cooking and to Paul, Chris and Reggie for their preparations in the kitchen. A good time had by all!